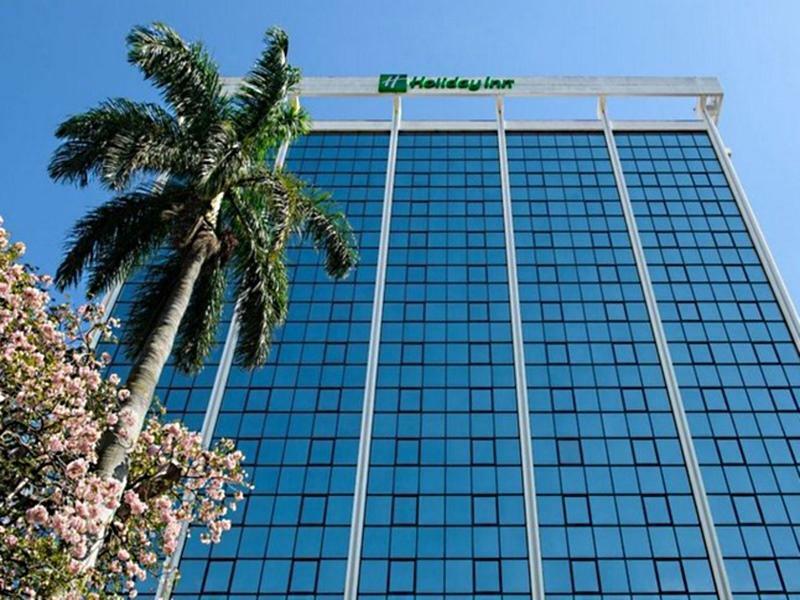 ﻿ Book Holiday Inn San Jose Aurola (Costa Rica) - 2019 PRICES FROM A$112! Set next to Morazán Park and 1 km from the centre of San José, Holiday Inn San Jose Aurola offers views of the Central Valley. It features an indoor swimming pool, gym and free parking. 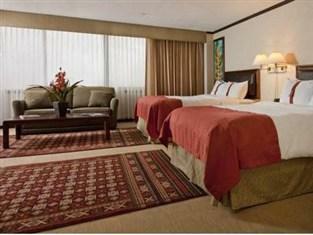 Each air-conditioned room at the Holiday Inn San Jose Aurola has simple, modern décor with carpeted floors. All accommodation has cable TV, free Wi-Fi and a coffee maker. Guests can enjoy a selection of Costa Rican and international cuisine in the Tropicana buffet restaurant. The à la carte Mirador Restaurant is set on the 17th floor and offers views of San José. Costa Rica’s National Museum, the Museum of Gold and Children’s Museum are within 500 metres of the Aurola. Tobias Bolaños and Juan Santamaría Airports can be reached in 25 minutes by car. Please note that check-in after established hours have a cost of $70 USD plus tax. Good hotel in the centre of the city. Restaurants are nearby. Rooms are spacious and clean. Staff is doing good job. Good place to start your holiday in Costa Rica. lots of restaurant and bars around the hotel. A bit far from the airport but good hotel. Not so safe nearby the hotel and far from the airport, but the facilities and services are good. The rooms a spacious und very clean, we srayed with our two kids 9 and 12 at the 10th floor with a great view on San Jose. The highl for our boys was definitely the indoor pool on the third floor. Of all included breakfasts in Costa Rica during our three weeks journey this one was absolutely the best. I have stayed in this hotel for many times over the past 6 years and it wasn't the newest when I first came here. The location is very good and this was my main criteria for coming back (I initially had already booked another hotel further out the city center). However, this place is really in need of a renovation by now. Loose fittings in the bathroom, dirty carpets and old television sets, etc. Everything works though. Staff is friendly. 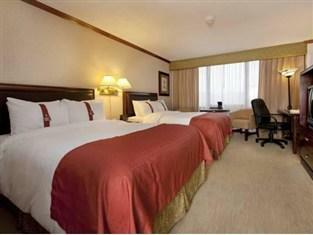 Rooms are decently sized and come with a safety deposit box and iron/ironing board for the business traveler. Beds are comfortable and the hotel is quiet at night. Breakfast buffet is alright with choice of hot dishes including breads and fruits. I really like this hotel, but without a renovation I'm more likely to check out other options next time. Part good and part bad. The hotel was clean and the room was nice. It seems to be a business/conference hotel. The swimming pool was not good. I have been told that it is unsafe to walk around downtown San Jose at night. I had no problems and did not fear too much concern for safety but I have good situational awareness. If you rent the room through Agoda breakfast is not included which cuts into the realized discount. Then you have to pay for breakfast how good is the discount? As an aside, leave for the airport early. You will have to wait in line to pay the airport tax not included in your air fare. Costa Rica is a beautiful country but I felt that someone was trying to put their hand in my pocket. I would go back but not stay in this hotel. If you are traveling as a couple or for a business conference then it would be fine. reserved executive king (on high executive floor we thought) but got "upgraded"(?) to a suite (not often used or serviced) on the 6th floor. It was OK for 1 night. Restaurant on the top floor (17th?) was used almost entirely for large groups so we did not bother to sit somewhere squeezed in a narrow dog-leg. Instead we bought a picnic at a grocery and ate in our room. Early morning taxi to the airport at 5 am was fast. 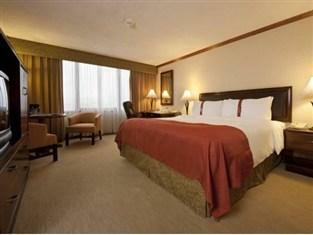 This hotel is in a great location and has good amenities. Its room are spacious and clean. The interior is nice, but somewhat dated. Very friendly staff and great food options. There is not much to say about the hotel. It is rather standard, a bit old. The interior can use a refresh. Wash basin clogged one time, but fixed quickly. The location is very good. The hotel staffs are so nice and friendly. Everythings are ready for you; traveling to museam within walking distance, tour desk available, convenience lobby, easy to find hotels taxi with fixed rate, but reasonable price! Highly recommended. stayed there the 2nd time with couple of friends. room was ok. conveniently located. booked the rooms for some other ppl. no complains. staffs were helpful. i am a regular guest at the holiday inn. it just offers the right value for money and it is in the center of town close to where i need to be for my business. the rooms are in good conditon, the beds are very comfortable, it is safe, they have free wireless interent and a great breakfast buffet. we stayed for a total of 8 nights at holiday inn aurola and we would go there again anytime. it is probably be the best hotel at this price in downtown san jose. our stay was a pleasure from start to finish. we had a corner room, with great view over san jose. the bed was excellent. one of the best i slept in so far.